What to do if you have a bat in your house! Contact Precision Wildlife Services, the bat specialists for removal and further inspection services. Precision Wildlife offers emergency service to most of Eastern Massachusetts including Boston and Cape Cod. We also have working relations with other bat specialists across New England and will be happy to refer them to you if we cannot respond or you are out of our service area. Please contact us immediately to speak with a bat specialist. Do I have a bat colony in my attic if I had a bat in my living space? 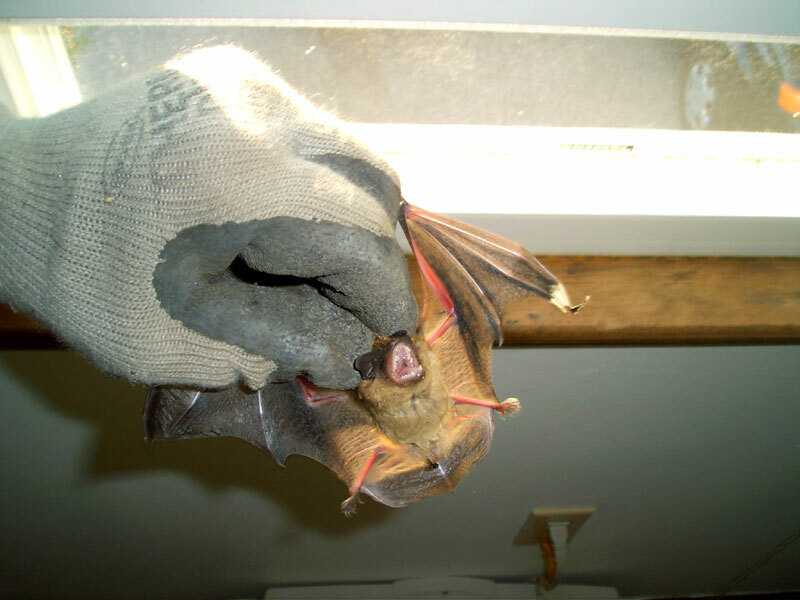 Occasionally bats will enter through chimneys, a/c units, and open windows but the majority of bat invasions are due to the fact that there is a colony residing within the structures of you home. Bat colonies will not always be in plain view within attics as they can, and often do colonize in soffit, and ceiling voids that make evidence of bats minimal and the sightings of them unlikely. Call Us to thoroughly inspect your home inside and out. 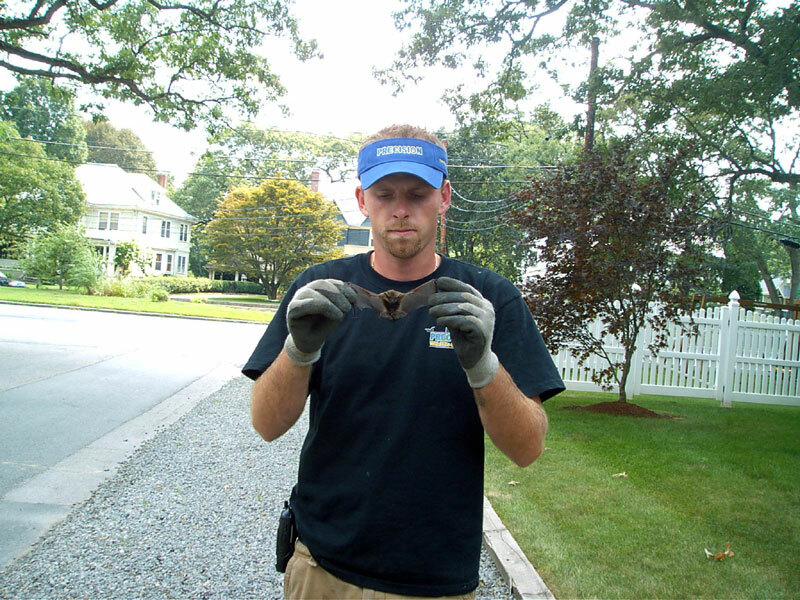 Precision Wildlife offers bat inspections and bat removal services. Why does a bat invade my living space? There are a few reasons why bats invade your living space. During the months of June and July juvenile bats are learning how to fly and becoming more mobile in there current habitat. They become investigative and curious and will wander away from colonies sometimes only to lose there way and end up in your living room. Also during the hot days of June, July, and August attics sometimes actually become less than inviting for a bat colony. Bat colonies will crawl under insulation and into cooler areas of your homes internal structure to escape the high temperatures. Movement of any type will always increase the chances of a bat mistakenly wandering into your living space. 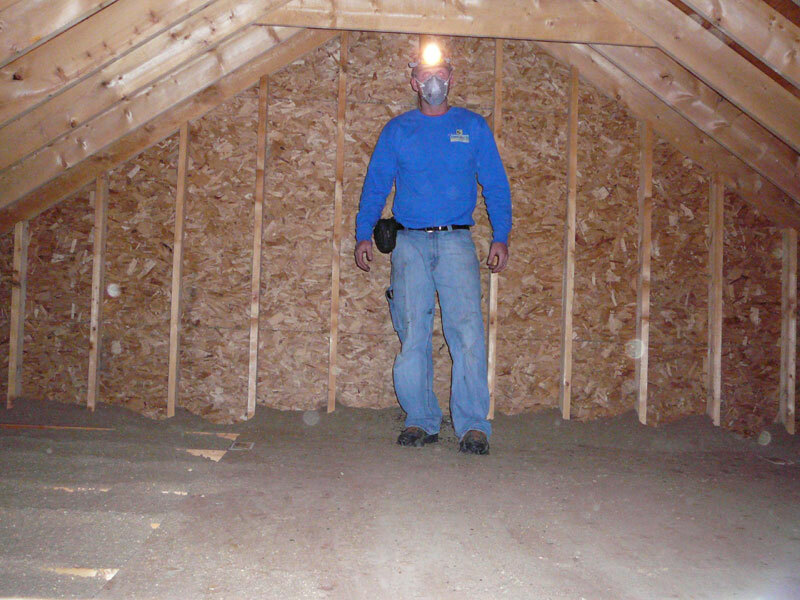 Winter bats, bats that gestate inside attics all winter, also look for the most ideal location in an attic for the cold winter months. 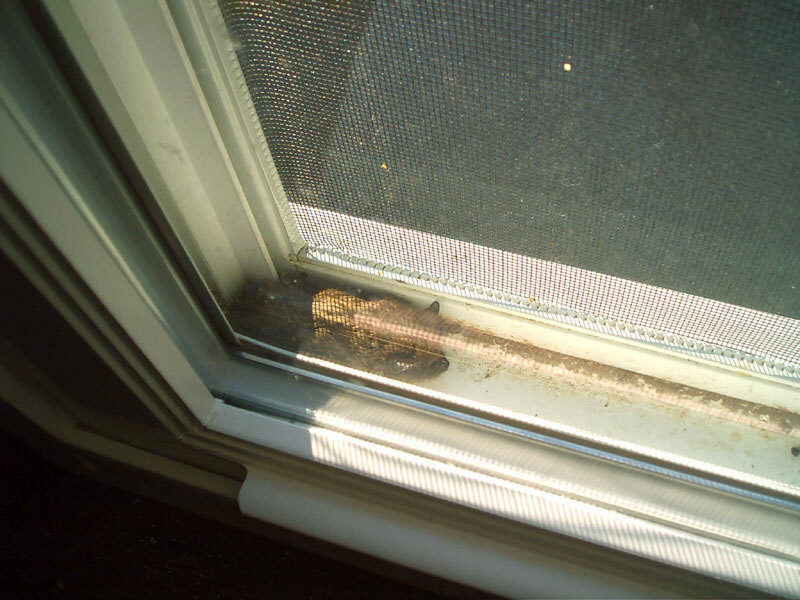 They to will often crawl under insulation in search of proper elements for winter semi-hibernation. Bats can also enter homes through window a/c units and chimneys and be considered a fluke. Many consumers will generally believe this to be there situation because it is the easiest explanation to swallow. If a bat has entered your home an inspection by a bat specialist might prevent further headaches in the future. *Bat removal and exclusion services are fully guaranteed and come with a written warranty. Can you spray the spots on your house where they are entering and exiting with organic garlic spray? Do you think this will in ANY way keep them away? My landlord has some Co. come out last year and spray and install these cages that they can gt out but not back in....only problem is, they didn't seal off the min spot where they are entering! DUH! I only pointed it out like 5 times to them! So I got some organic garlic spray for the bugs in the yard and was thinking, hmmmm.....bats don't like garlic either. Any thoughts?